John Weston’s origins are obscure. His father’s name is not known; his mother and father’s origins are allegedly British but this has not been substantiated; there is no record of his birth in the registers of the Registrar of Births, Deaths, and Marriages in Pretoria for the years 1868 to 1880 . Nevertheless, his biographer concluded that “the available evidence leads one to conclude that [he]…was born on June 17th, 1873, in an oxwaggon [sic] at Fort Marshall in northern Natal, some 80 kilometres to the south of the town of Vryheid” [5A]. Today, the available evidence is greater than in Oberholzer’s day and it suggests that Weston was born a year earlier, on June 17 1872 [5B]. 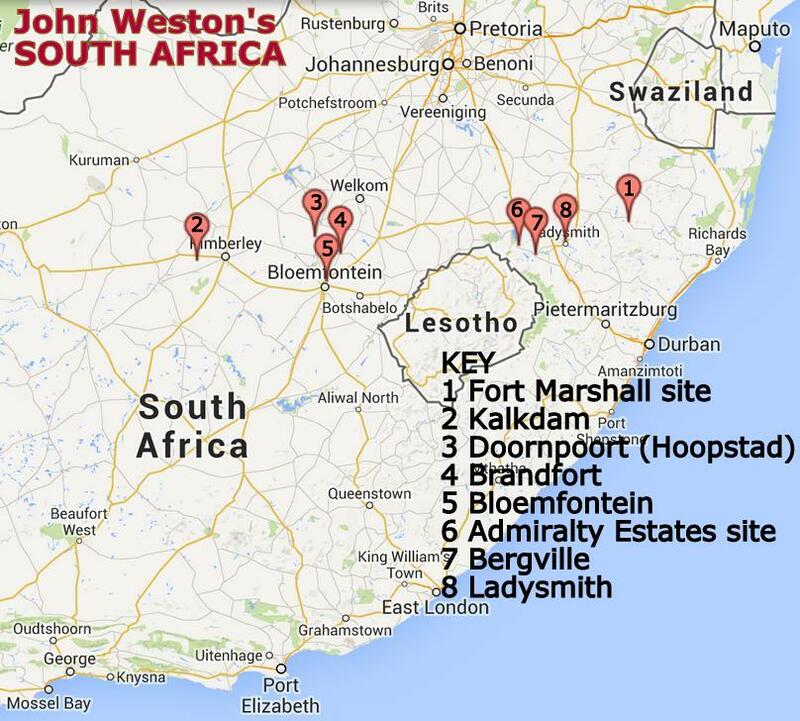 However, there is no room for doubt that Weston originated from South Africa. Weston went on to become a globetrotter but South Africa remained a constant, and as his life unfolded he established a number of bases in that country. In his youth, he travelled extensively according to Oberholzer. We are told that his family went to Somaliland and then to America (the USA? ); that when he reached his teenage years “he used every opportunity for globetrotting, trying his hand at every possible or impossible job” including being an officer of a Nicaraguan ship, a whaler, a big game hunter, a splicer of metal hawsers in California… ! Unfortunately these claims are not backed by solid evidence. Moreover, based on what we now know to be verifiable about Weston’s life from the age of around 16, some of these claims and others appear at best fanciful and at worst preposterous. For example, “As a young man he took part in nearly every war and fought in several revolutions in South America” . in 1896 he helped the celebrated aviation pioneer Chanute . None of these are supported by evidence. Some are not even plausible: for example, the first asks us to believe that the 7 year old Weston was an aeronautical prodigy. So is there anything we can say with certainty about Weston’s early years? Fortunately there is. Firstly, at some point young John mislaid his family, or they him. In 1941 in a letter to his daughter Kathleen, he confessed that “my separation from my parents in youth… has always weighed upon me as the saddest tragedy of my life” . 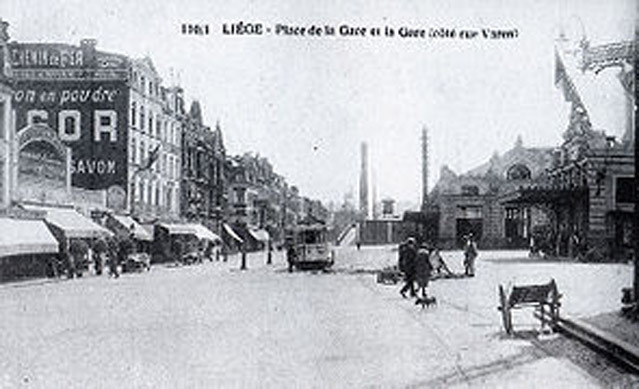 Secondly, it appears certain that by 1888 – in his mid-teens – he was in Liège, Belgium, beginning an apprenticeship and career as an engineer. Initially this was with J Jaspar but later with the de Puydt and Poncin Lighting and Power Company. 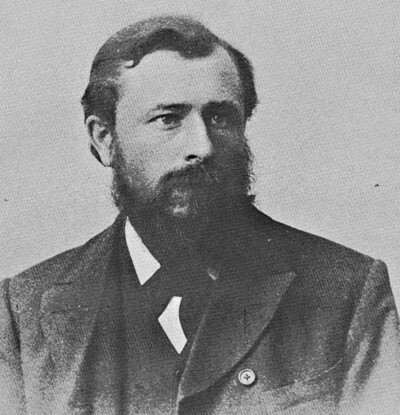 From 1888 to 1894 he was also studying [14A]. There is no suggestion that he was with his family at this time, so could 1888 be the year when the ‘tragic’ separation from his parents occurred? Before this time, we know little for sure of where he lived but South Africa certainly features and (as we have seen) America (the USA?) is occasionally mentioned. 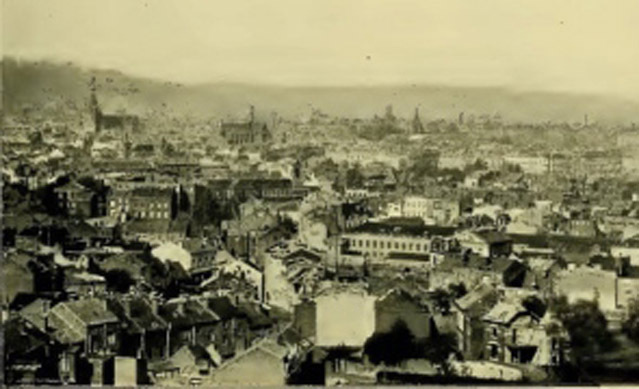 However, his new home in 1888 was a French-speaking city in Western Europe! It seems something dramatic may have happened. 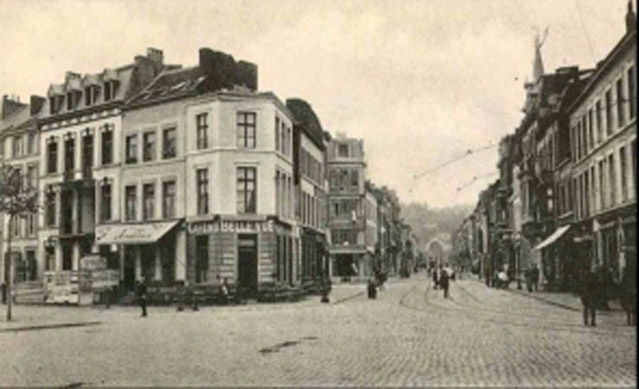 He lived in Liège until 1900 or so, though he maintained contact with it until early 1905 [14B]. The events and dates of this period are documented in Weston’s application for membership of the (British) Institution of Electrical Engineers in 1902 . Since this was written by Weston himself it could contain embellishments as application forms sometimes do. But it is the best we have, and it charts a rapid rise to chief installation engineer with both of the Liège companies “during which he superintendent over one hundred lighting and power plants in different countries”, and then a further promotion to “Partner and Technical advisor”. By 1900 he was still working with de Puydt and Poncin but had established his own company, M Weston and Co, in Birkenhead, England . 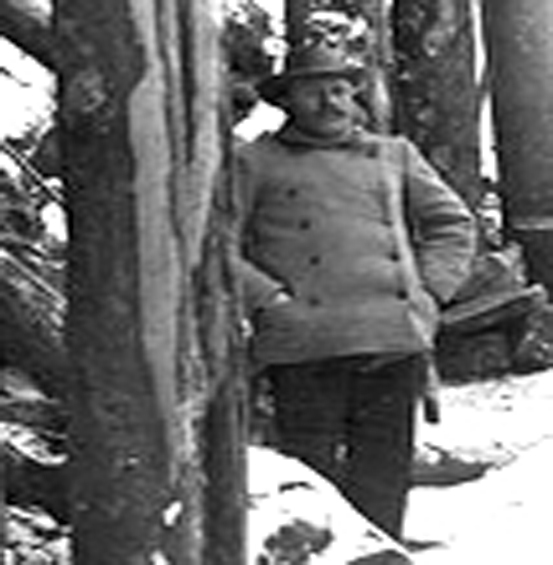 The period 1900 to 1905 found Weston spending time in many different locations. He was in Britain applying for associate membership of the Institute of Electrical Engineers (January 1902), publishing a philosophical pamphlet (November 1903), and applying for membership of the Royal Geographic Society (September 1904). He was in the Netherlands (1902) and in Mombasa, Kenya (December 1905) . He returned to South Africa at uncertain dates during this period. “On the back of a photograph in the collection of the late Mrs Lily Weston there is an inscription which states that Weston was back in South Africa in 1902”, says Oberholzer . “Another photograph taken in this same year  shows Weston during the South African War when he fought on the Boer side against Britain”  . 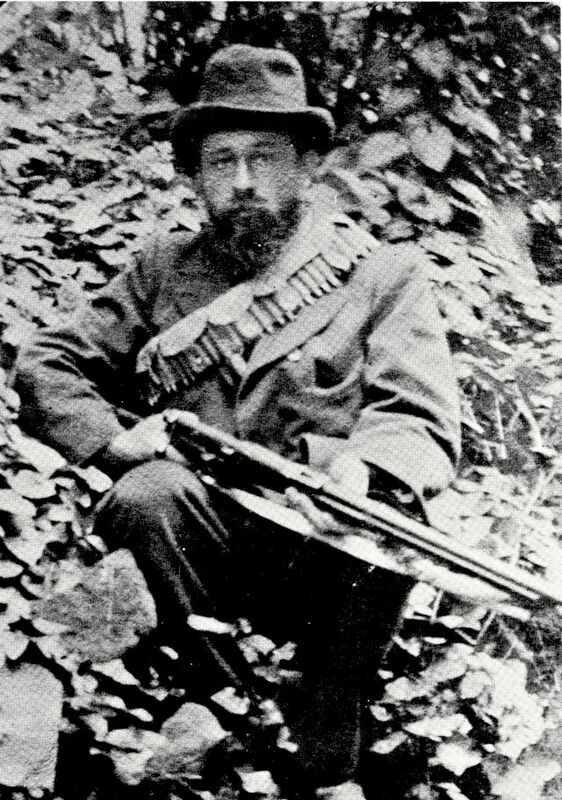 This photograph (left) is reproduced in Oberholzer’s book and is captioned “John Weston during the South African War, 1901” [sic] . 1901 and not 1902 is likely to be correct: he was back in Britain and applying for British citizenship on 4 January 1902 [21A]. But it was not long before he embarked on a lengthy stay in Russia. It only ended in 1904 and was described by Weston to a South African Sunday Times correspondent in 1924 [21B]. 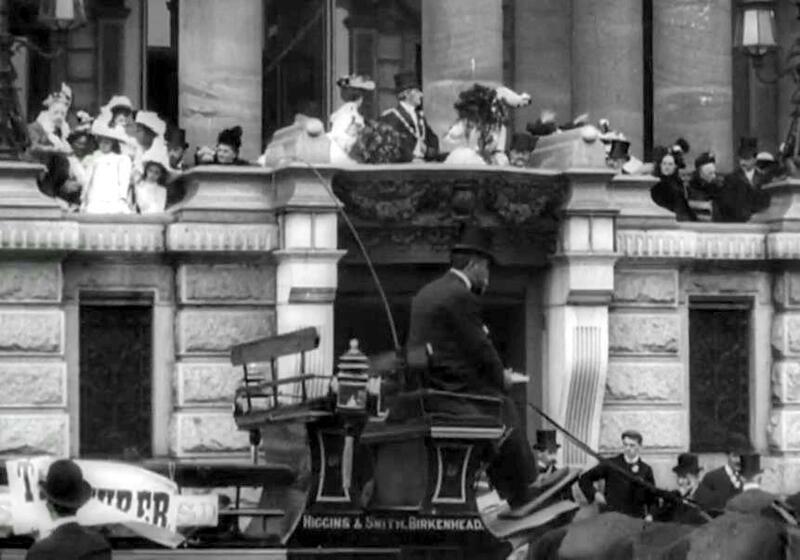 On 31 May 1902, the Treaty of Vereeniging was signed ending the Boer War . The Sunday Times article reported that “Like so many others, [Weston] lost in the war every penny he possessed” so he borrowed £100 from a friend and, two months after the treaty, arrived in the USA. 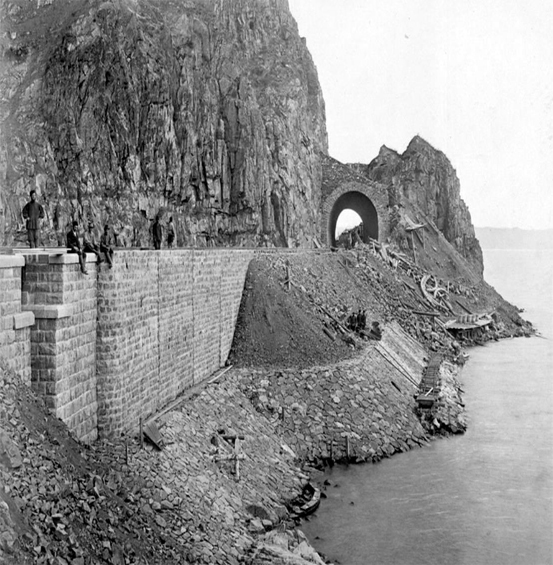 Through contact with the Russian Embassy in Washington DC, “he obtained a post as engineer on railway construction in the Far East on the lines the Russians were building to Port Arthur” . This must have been the Chinese Eastern Railway which was almost complete by 1902. 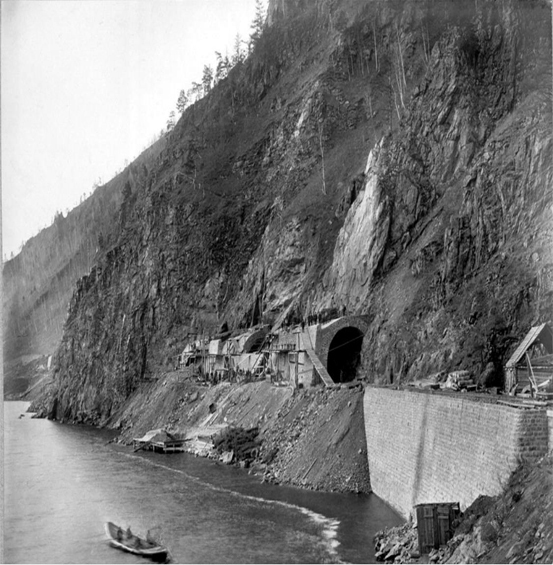 Just one crucial stretch, around Lake Baikal deep in central Asia, remained unfinished. 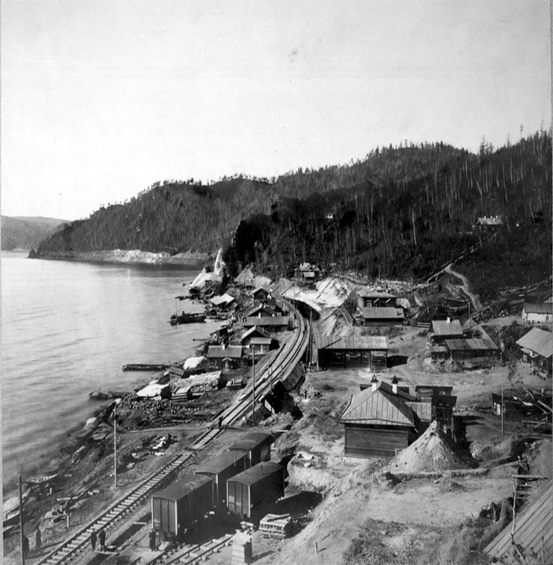 Cargo on the railway had to be trans-shipped by ferry almost a hundred kilometres across the lake, from Port Baikal to Mysovaya . 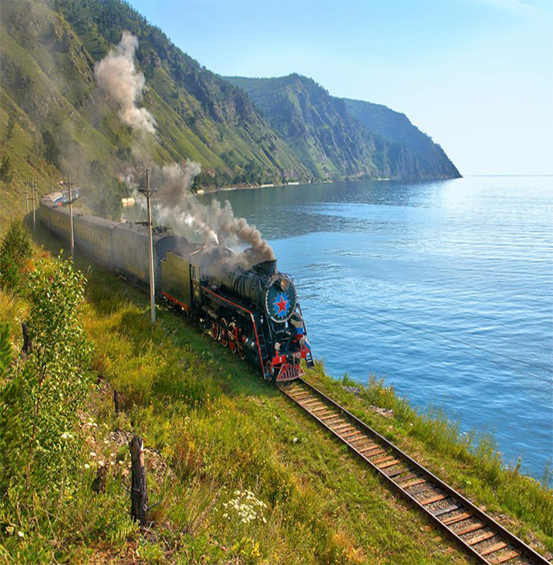 “Workers began construction on the most complex section, from Slyudyanka to the Baikal station, only in the spring of 1902, with the aim of finishing it by 1905… From 1901 to 1902 about 9,000 workers were employed on the railway, while in 1903–1904 the number rose to 13,500” . So the South African Sunday Times story of Weston working on a Russian railway (elsewhere described as “building bridges” ) from circa 1902-1904 is consistent with the historical record and that newspaper’s account of what happened at the end of Weston’s Russian adventure is equally consistent. 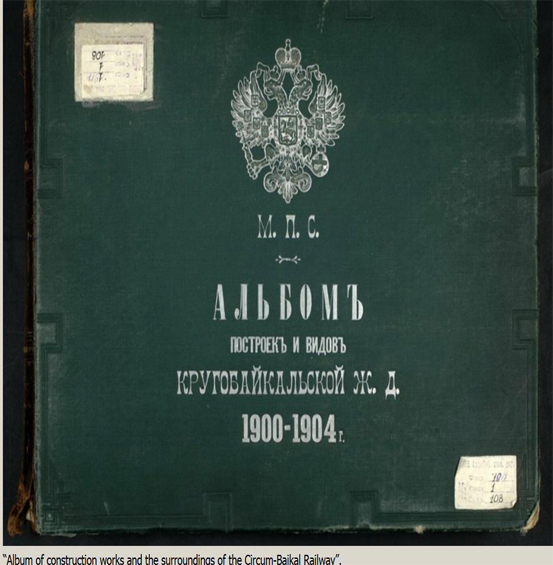 The historical record has it that “Japan issued a declaration of war on Russia on 8 February 1904. 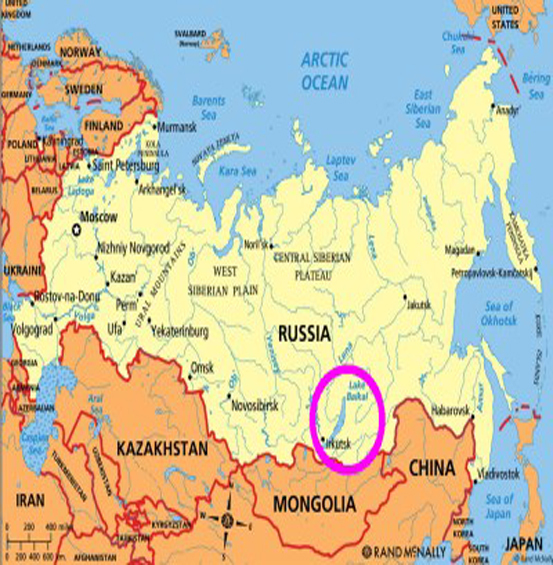 However, three hours before Japan’s declaration was received by the Russian Government, the Imperial Japanese Navy attacked the Russian far east fleet at Port Arthur [now Lvshunkou or Lushun, west of Dalian in China]” . The Sunday Times story says “The outbreak of the Russo-Japanese War found [Weston] marooned between the opposing forces” and finally escaping via Port Arthur , presumably after the attack but before the Japanese began their siege of that port which commenced on 30 July 1904  . 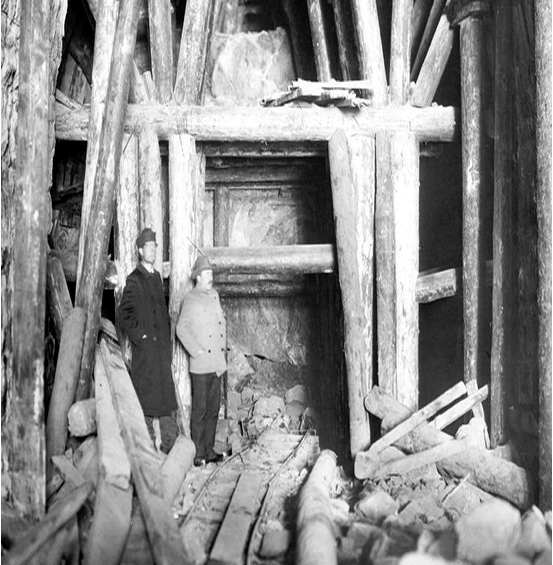 The recent publication of an album of photographs of the construction of the “Circum-Baikal” may have given us the last piece of the jigsaw [see slide show to left and footnote 26B]. In two pictures, a character appears who seems to be neither a manual worker nor a local. 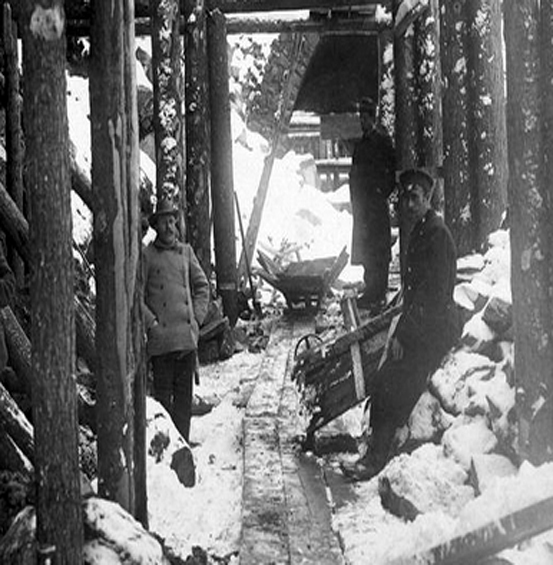 He’s clearly part of the team building tunnels and bridges – and he looks remarkably like the short and stocky John Weston! Weston’s successful application for membership of the Royal Geographical Society – dated 17 September 1904 with proposers’ signatures dated 21 November – seems to place him in Britain for at least some of the time in late 1904 . However it also shows he had a foot in at least two other countries. The RGS form gives his address as “c/o Mr Papendorf, Somerset East, Cape of Good Hope, S. Africa” but at the top of the form is a handwritten addendum not in Weston’s hand. It reads “up to Jan 3.05 address Poste Restante, Guillemins, Liege, Belgium, after to address below”. This form is remarkable for one other feature. One of Weston’s three proposers had to be someone with whom he was personally acquainted. The others may or may not have been but both were local to his home in England, and they were two of the most famous men in Britain – Maurice Egerton, the 4th Baron Egerton and master of Tatton Park in Cheshire, and the legendary William Hesketh Lever, 1st Viscount Leverhulme, industrialist, philanthropist, and politician., whose name still resounds in the worldwide Unilever brand. By early 1905 Weston was in South Africa  and in August of the following year he married Elizabet (sic) Maria Jacoba (aka Lily) Roux in Bloemfontein. They were to have three children: Anna MacDougal (born 1908), Kathleen (1912), and Maximilian John (1915) . Weston settled in to a farming life at Doornpoort, then Kalkdam (Hoopstad) and, in May 1909, Brandfort . On this website, footnotes have been used to acknowledge the source of ideas, data or quotations. For example, in the main text  directs the reader to footnote  at the bottom of the page (except on the Home page where the footnotes appear here). Detailed references (eg  below) are not repeated in full on subsequent pages. [5B] This year date is based on 18 records, the majority of which are shipping lists (many referenced below) but also including application forms and a death certificate (also referenced below). Of these, 2 point to 1871, 3 to 1873 and 13 to 1872. M J L Weston. 21 November 1941, Letter to K Weston, Estate of M J L Weston, papers in the State Archives, Pietermaritzburg, South Africa. Oberholzer op cit. Though the application was to the IEE, in 1903 it appears in a book of “Proposals for Membership, Etc” which is in the name of the Institution of Mechanical Engineers. Ancestry.com. 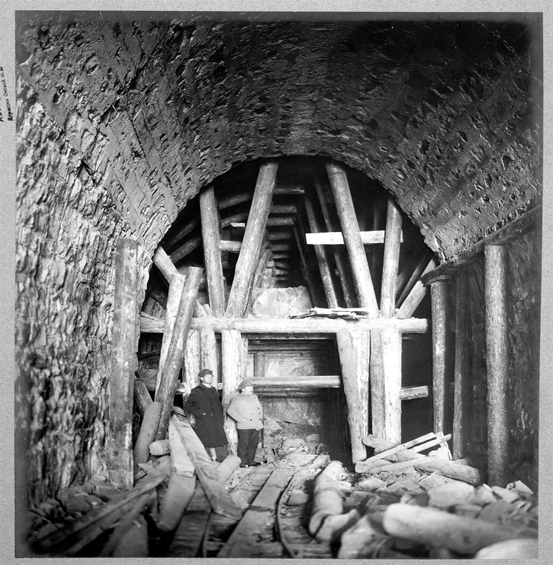 UK, Mechanical Engineer Records, 1847-1930 [database on-line]. Provo, UT, USA: Ancestry.com Operations, Inc., 2013. Oberholzer op cit. Most of these places and dates are verifiable: the others are plausible. [21A] Ancestry.com. UK, Naturalisation Certificates and Declarations, 1870-1912 [database on-line]. Provo, UT, USA: Ancestry.com Operations, Inc., 2014. Copy of John Weston’s Royal Geographical Society application form kindly supplied to the author by the RGS itself.